Lough Allen Community College students participating in DROP (Drop everything and read). The Under 14 boy’s football team took part in a blitz in the Sligo Centre of Excellence, Scarden. They enjoyed wins over Ballisodare C.S. and Carrigallen V.S. and lost out narrowly to Easkey C.S. Well done to all the lads, particularly those who represented Lough Allen College for the first time. Thanks to Mr Butler who coaches this team. 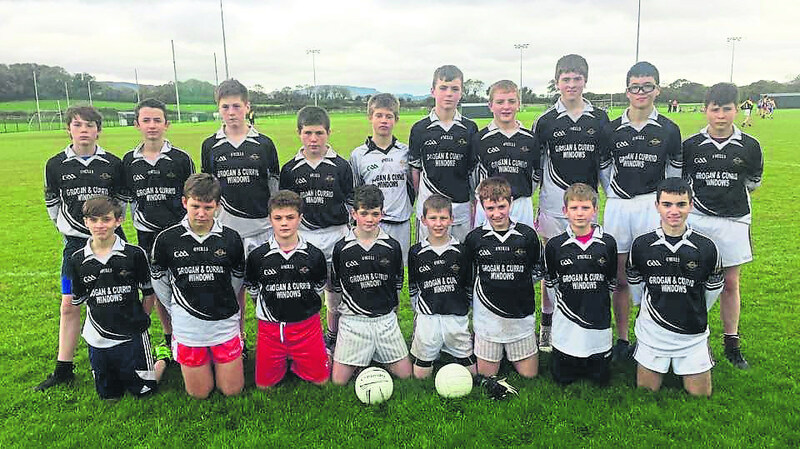 The Under 16 Boys under the guidance of Mr Brett entered the Connacht League Tournament in Scarden, Sligo on 9th of October. The panel lost their first game to Grange but won by 3 points in their second match against Ballisodare. Best for LAC was Jamie McGreal and Conor Morrison. Everyone welcomed the stop off in McDonalds on the way home. DROP (Drop Everything and Read) was an initiative run by the English Department during the week of the 8th to 12th of October. The students were asked to choose a novel and then were allocated space on the timetable to read during class time for 20 minutes each day. This event will assist Lough Allen College in their promotion of literacy and to increase standards of same in our school. Ms Rachel Shannon co-ordinated DROP throughout the week. Congratulations to all the students who worked very hard with Paul Gallagher and Helena Golden to help our school win the ‘Love Where you Live’ award. LAC came first in the ‘schools’ category in the Manorhamilton Municipal District. This event took place in Lough Rynn Castle on 10th of October. Ms Kuehl was also in attendance at this ceremony.